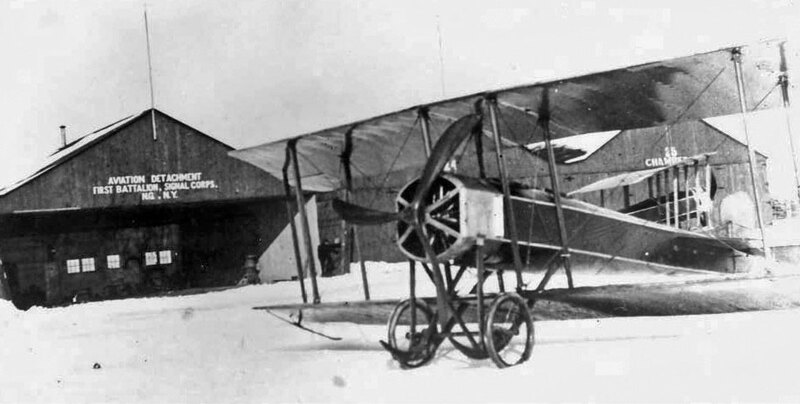 Gallaudet Tractor Biplane, 1915. 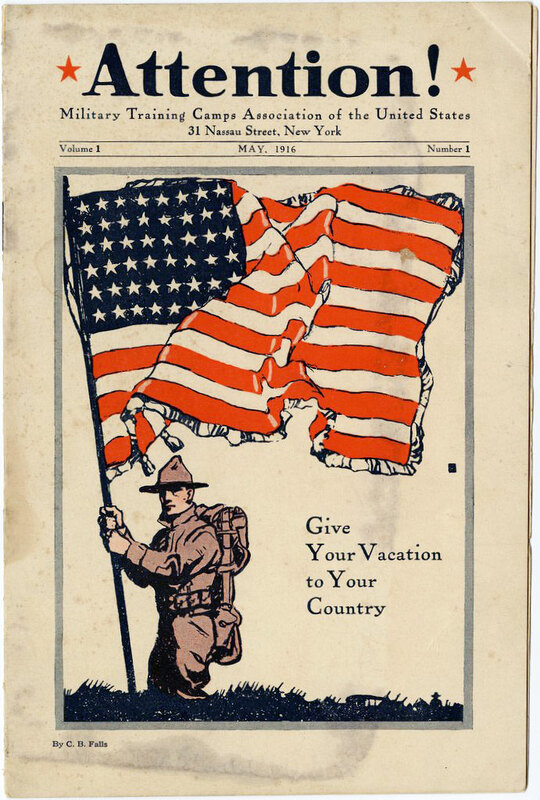 Rented by the Aviation Detachment, First Battalion, Signal Corps, New York National Guard. Wikipedia Commons. 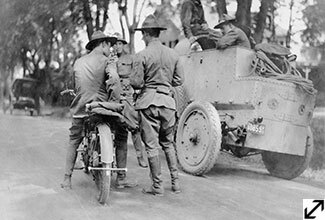 As international tensions mounted, former President Theodore Roosevelt and others raised an alarm—a robust standing army was needed to replace state-organized National Guard units. 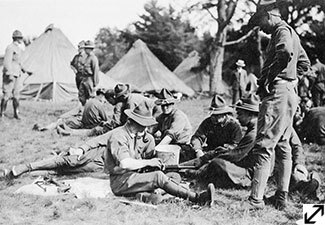 Advocates of a strong military mounted the first formal "Business Men's Camp" in upstate New York in 1915. This summer school for civilians offered officer training and physical fitness workouts. Participants were primarily elite, middle-aged men who could afford to attend and included Raynal Bolling and Allan Kitchel of Greenwich. In November Bolling organized the Aviation Detachment, First Battalion, Signal Corps of the New York National Guard, marking the Guard's first aviation unit. Attention!, 1916. 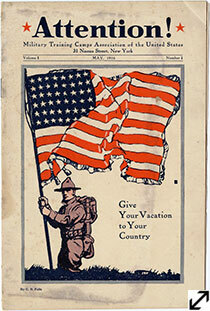 Issued by Military Training Camps Association Volume 1, Number 1. Greenwich Historical Society, William E. Finch, Jr. Archives. On August 25, 1915, the Greenwich Rifle Association was formed; C.A. Moore was elected its president and more than 50 citizens joined. The rifle range was to be situated at Round Hill; Springfield rifles would be furnished by the state along with 120 rounds of ammunition to each man. Caroline Ruutz-Rees, headmistress of Rosemary Hall, organized a "preparedness" group; students learned to shoot and drill among other things. 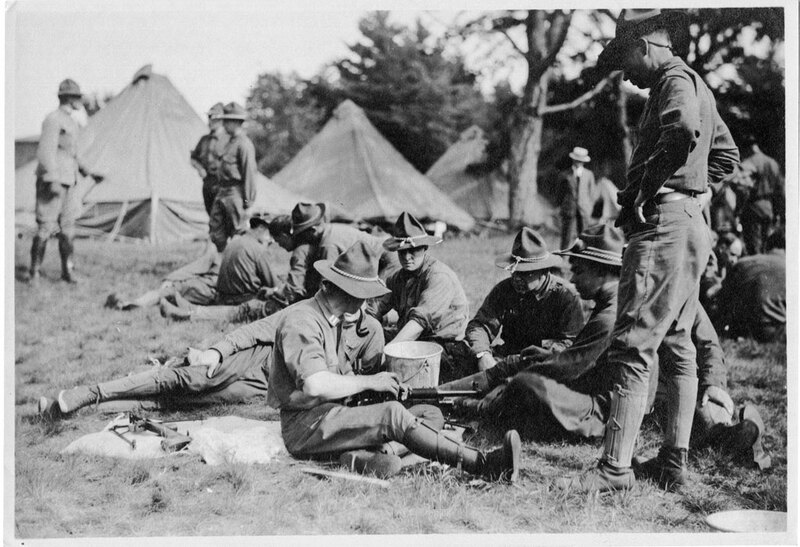 Plattsburg Training Camp, 1915. Greenwich Historical Society, William E. Finch, Jr. Archives, Colonel Raynal C. Bolling Papers. Gift of Diana Greene. 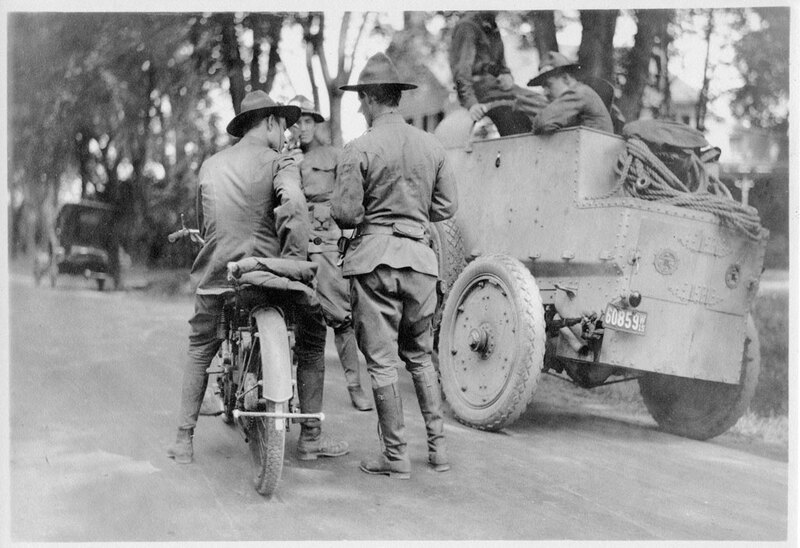 At Plattsburg, Bolling arranged for demonstrations of a motorized machine gun (which may be the vehicle in the photograph) as well as the Gallaudet "Military Tractor" biplane.